I spent hours making a sweater. When it was done, I was so proud. Turns out it was way too big and didn’t look good at all. 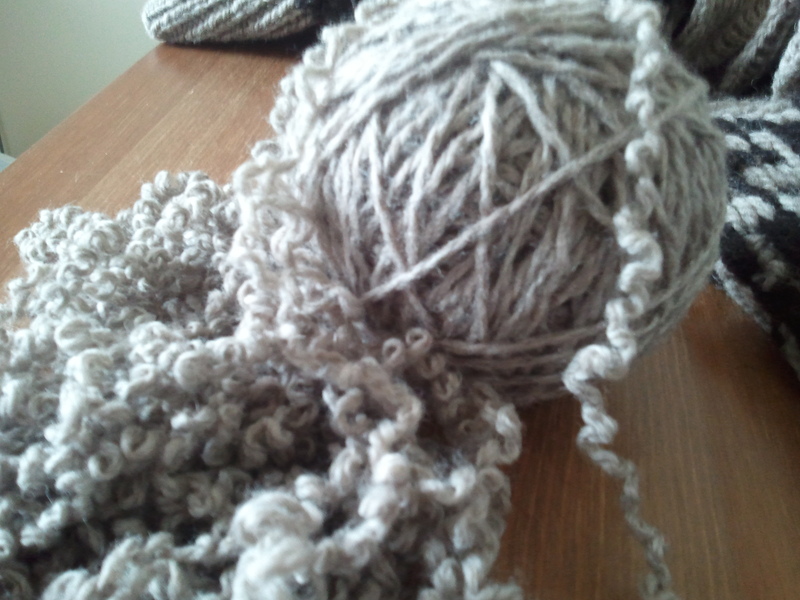 So, I’m learning to let go, and I’ve frogged (that’s what us knitters call undoing our knitting) the whole thing. On the plus side, now I get to try something new! I’m thinking a button-up cardigan. I might even sew leather patches on the elbows. 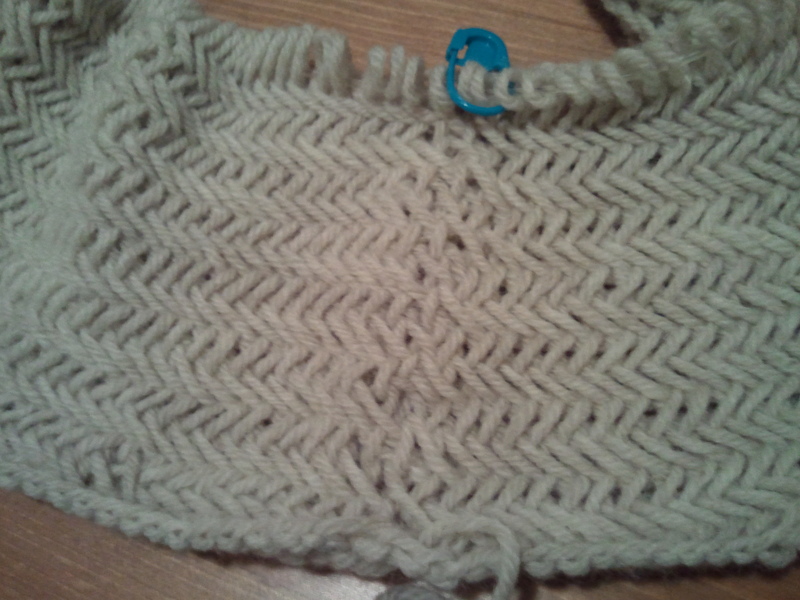 This is the Herringbone Cowl so far. I’m one ball of yarn in. So far so good, but I’m getting a weird pattern where the round starts. I’ve read and re-read the pattern a bunch of times, but it doesn’t seem to make a difference. Any thoughts? Is this just the way it’s going to look? 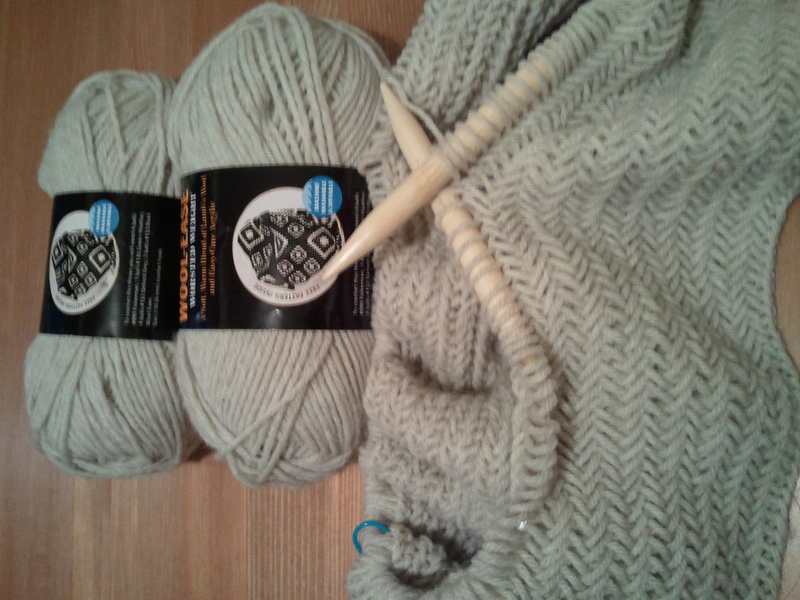 This will eventually be the Big Herringbone Cowl from The Purl Bee. I have been eyeing up cowls in all the shops lately, but I keep telling myself I should just knit one. So I am. 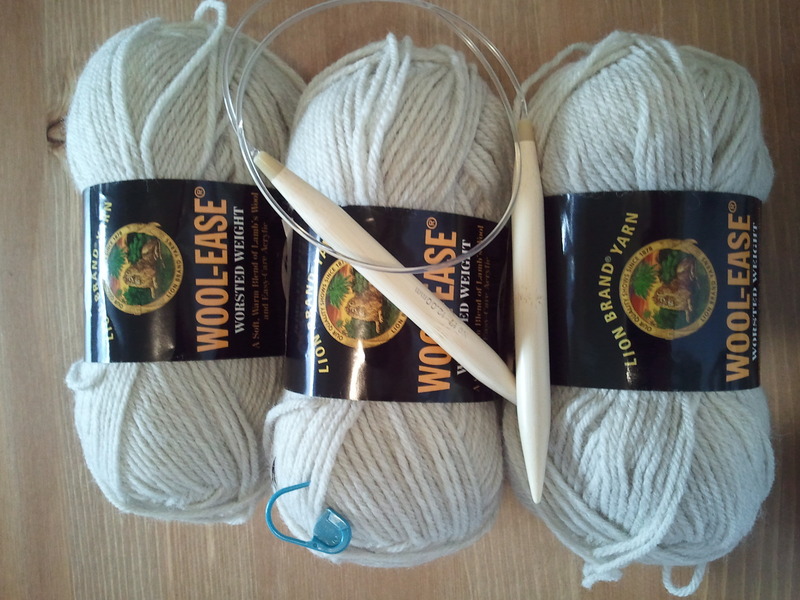 Instead of using the ever-so-soft Blue Sky Alpaca, I’m using Lion Brand’s Wool-ease. Mostly because it’s cheaper. Good thing I had already picked some up last week because I was in the knitting store today and felt the Blue Sky Alpaca and I couldn’t believe how soft it is! Seriously. We’ll have to see how this one turns out. This one might become a gift for a friend and then I will knit myself one from that delightfully soft alpaca yarn. I suppose it will depend on how long it takes to make. Anyone want to knit along with me?